I will also perform at the LSF luthier’s exhibition on the 29th Sept . 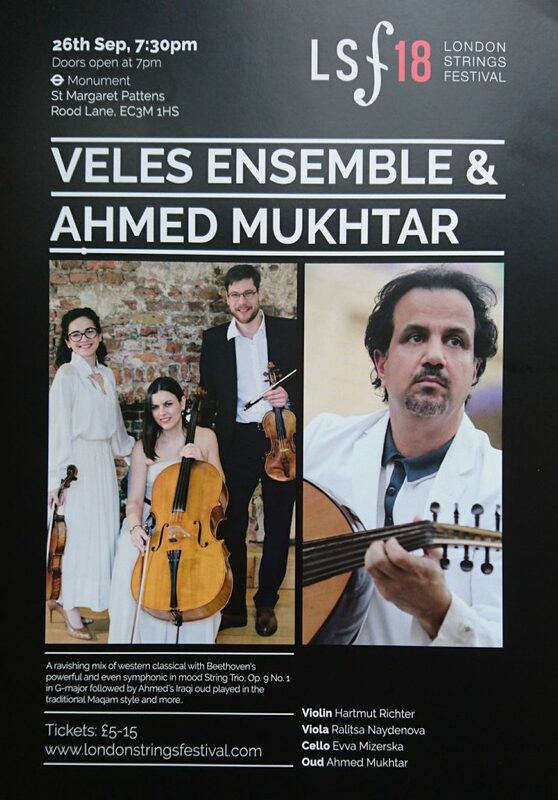 The Veles Ensemble will open this evening of contrast with a true classic: Beethoven’s String Trio Op. 9 No. 1 in G-major. The trios Op.9 – published in 1798 – are often considered to be one of Beethoven’s most important early works. 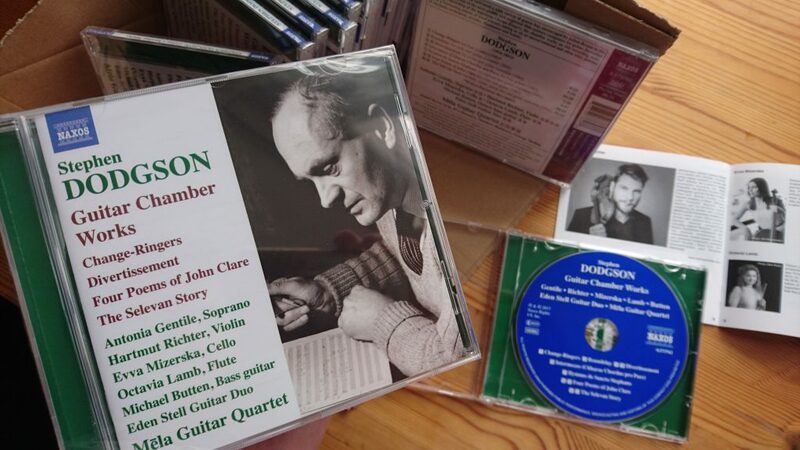 The G-major’s powerful and even symphonic qualities, wide melodic lines, contrasts and the breathtaking vigour of the finale leave no doubt about its historic significance. It is followed by Zoltan Kodály’s Intermezzo, a wonderfully fresh and light scherzo, written by the then 23 year young composer while finishing a dissertation on the Hungarian folk song at the Budapest academy. Not surprisingly, it combines the spirit of the Hungarian folk song (but without the clyché!) with the depth and sophisticated textures reminiscent of Dohnányi, whose Serenade for string trio served as a model for this short and entertaining delight. 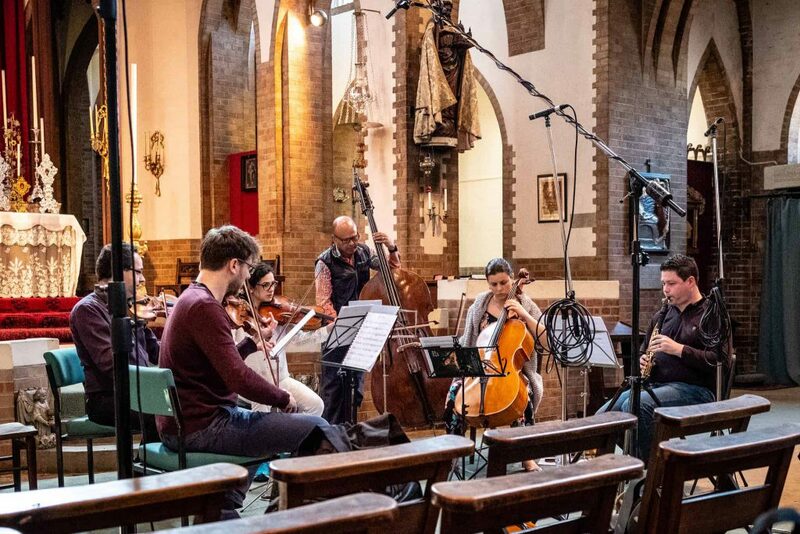 A little snapshot from the recording sessions from our [the Veles Ensemble] upcoming CD release on Toccata Classics with music by Steve Elcock. To be released in Autumn 2018. 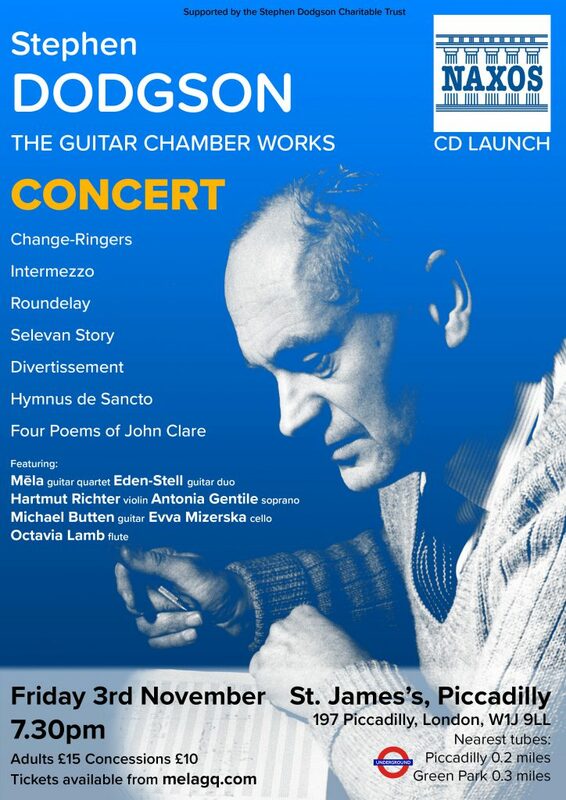 Our new CD of chamber music works is out on NAXOS. 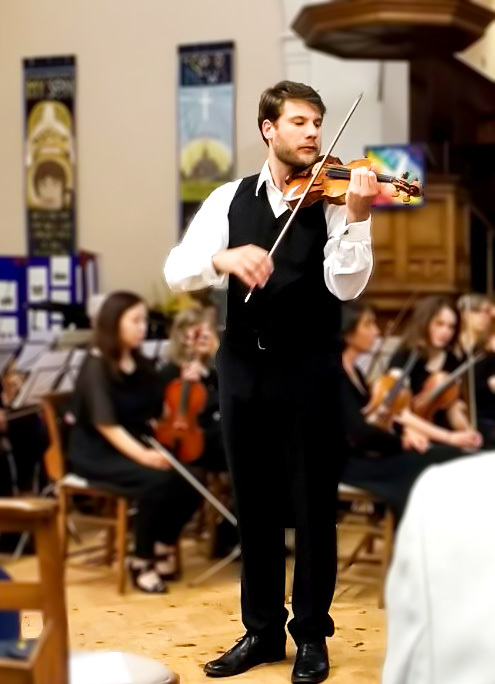 A little impression from the concert with North London Sinfonia, Ravel Tzigane and Bartok Rhapsody No.1. 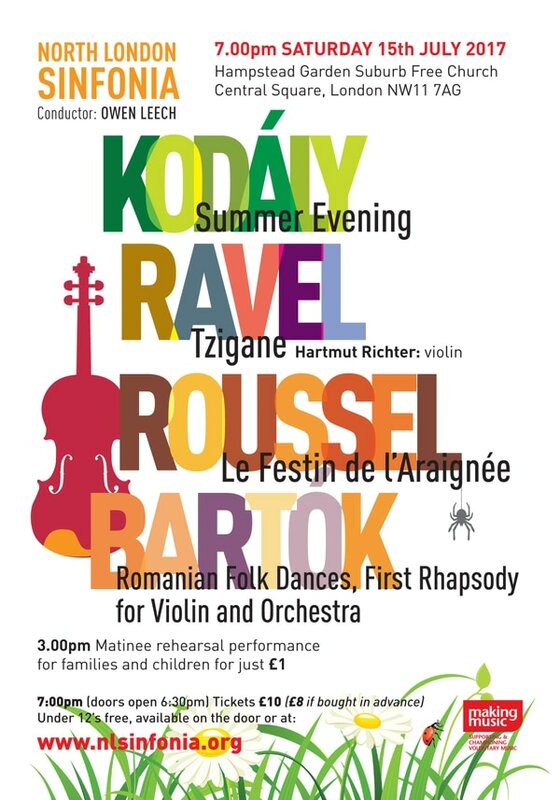 Ravel Tzigane and Bartok Rhapsody No. 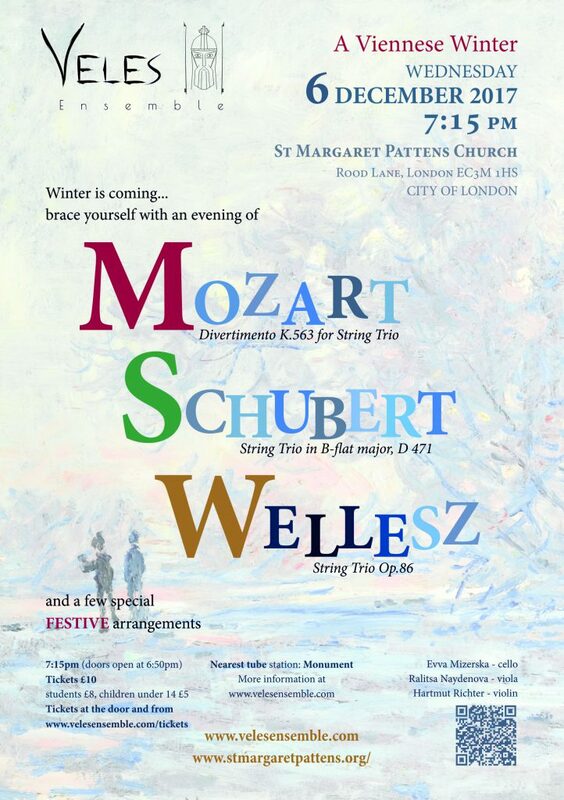 1 with the North London Sinfonia. Advance tickets £12/£7 from the ticket page. £15/£10 at the door. 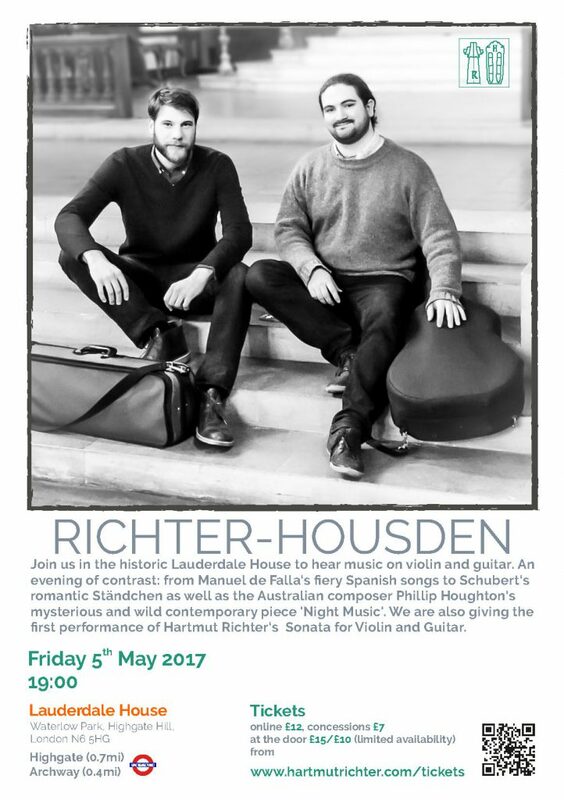 Join us in the historic Lauderdale House to hear music on violin and guitar. An evening of contrast: from Manuel de Falla‘s fiery Spanish songs to Schubert‘s romantic Ständchen as well as the Australian composer Phillip Houghton‘s mysterious and wild contemporary piece ‘Night Music’. 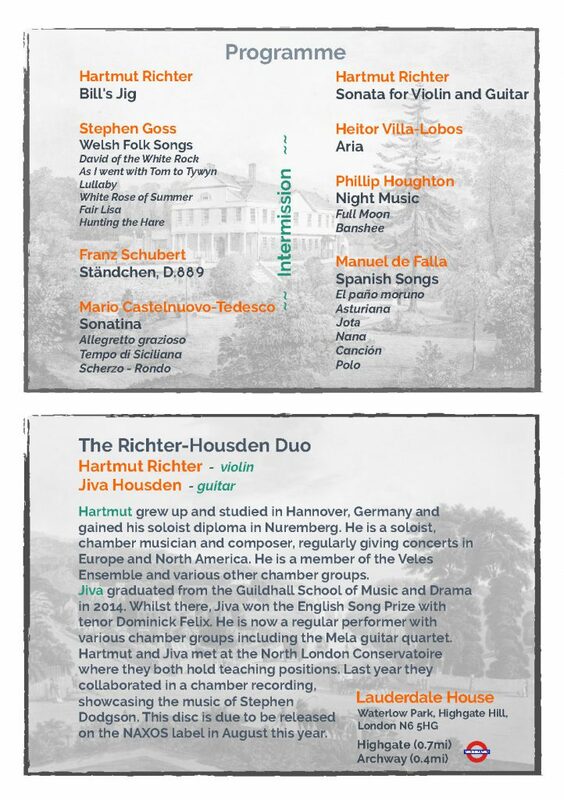 We are also giving the first performance of Hartmut Richter‘s Sonata for Violin and Guitar. 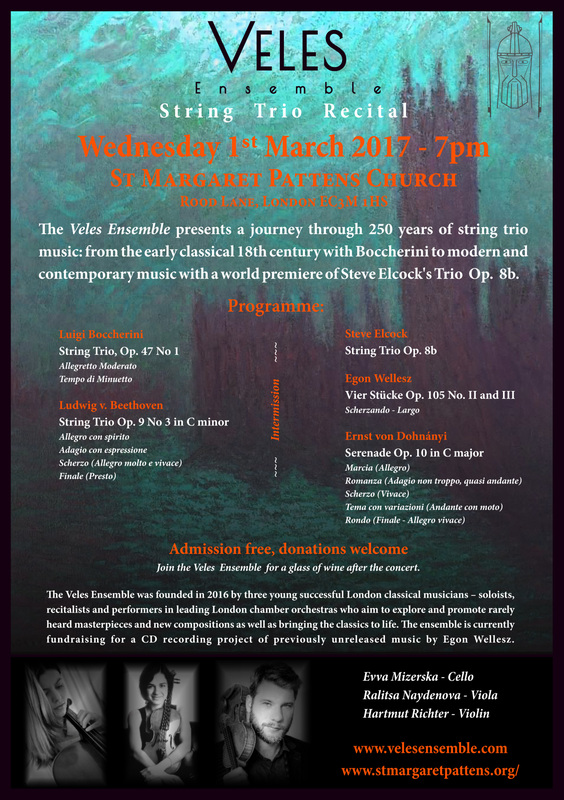 contemporary music with a world premiere of Steve Elcock’s Trio Op. 8b.